Plymouth Argyle have signed Norwich City goalkeeper Remi Matthews on an emergency loan. The 23-year-old is set to be the fifth goalkeeper to play for Argyle this season and comes in after Kyle Letheren hurt his thigh on Tuesday at Blackburn. Teenager Michael Cooper made his debut as a substitute, with Luke McCormick and Robbert te Loeke also both injured. Clubs can sign a keeper on loan outside the transfer window if all their professional keepers are unavailable. 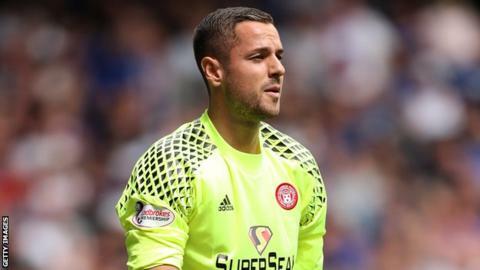 Matthews is yet to make a first team appearance for Norwich, but has had two spells on loan in League One - in 2015-16 with Burton Albion and Doncaster. He also played 27 times for Scottish Premiership side Hamilton Academical on a season-long loan last season.